Condition is Used but in very good condition. Lara Sun Lounger with Arms. 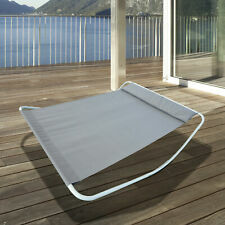 Height of lounger bed from floor: 30cm. Polypropylene Construction - Strong & Durable. Height to top of backrest at highest position: 93cm. Rubber non slip feet. Easy to clean. 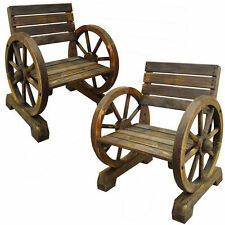 Set of 2 Sun Lounger. 3 Reclining Positions. Height (reclining positions): 42cm/61cm/78cm. Can Fold Flat. Height (when flat): 32cm. Black Fabric. Quick and simple dispatch. Support for when you need it. Color: Biege and Grey. FLOOD LIGHT. INDUSTRIAL SACK TROLLEY. The Patio Swing Set includes 1 x Patio Swing. AIR COMPRESSOR & TOOLS. GARDEN TOOLS. FIRE & HEATERS. Finether Hanging Chaise Lounge Chair Outdoor Indoor Hammock Chair Swing with Arc Stand, Canopy and Cushion for Patio Beach Bedroom Yard Garden, Nail polish included for Scratch Repair, Mint Green. Sit back and enjoy the breeze in your backyard with this Finether Hanging Lounge Chair. 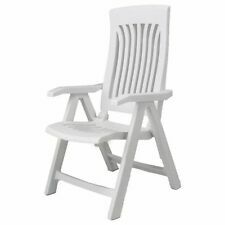 This ergonomic Adirondack chair featuring a footrest is perfect for resting at beach, backyard, garden and room. The retractable footrest makes it both a chair and a chaise lounger. Natural color and style, elegant Adirondack chair. Without any pressure on your spine, our zero gravity chairs can help you release all the pressure and let your body fully relax. Easy-to-use twist knobs effortlessly locks the chair in any position. Free Fast Delivery!!! Cheapest On Ebay!!! 1. This reclining chairs with headrests features a smooth reclining mechanism. The wide seats are made from durable textilene and include adjustable headrests. Made from steel and weatherproof material. For indoor or outdoor use 2. 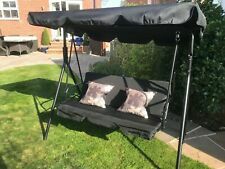 Perfect for relaxing in the garden this summer. Great for the garden, poolside or beach. Lightweight and easy to carry, folds down for easy storage. 3D ergonomic comfortable sitting, breathable warm, easy to clean 3. The intelligent bracket structure design with high-strength steel tubes ensures this outdoor-chair is high-strength and highly-durable. 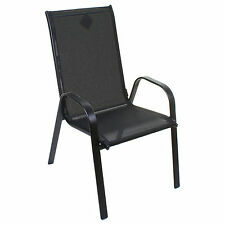 The metal material and folding-seat design ensures this garden-chair is highly stable, supporting up to 120kg/300lbs 4. Lightweight powder-coated s... . Discover an enormous assortment of garden patio chairs for you to enjoy, including plastic, wood, metal, rattan, aluminium and teak effect furniture to bring some luxury to your outdoor space. 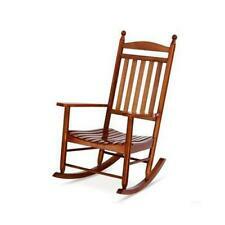 From plastic, folding portable chairs to wooden rocking chairs and swing chairs, relax in style in your garden. When the warmer weather rolls around, that means beach holidays, parties and picnics, all of which are made better with comfy seating to relax and relish the sunny outdoors. How about a portable beach chair that's perfect for travel? 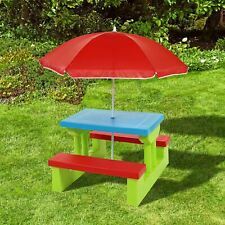 Or a folding chair that'd be ideal for a BBQ or camping trip? Take advantage of the sunshine with this chic collection of wooden patio chairs. This furniture is wonderful for any outdoor space – find comfortable swing seats, just the thing if you're in need of some outdoor relaxation on hot days. Or enhance your surroundings with a woodside rocking chair – it's a great spot for enjoying al fresco nibbles and drinks whilst watching the world go by. 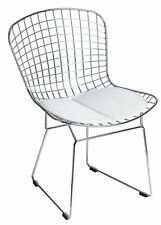 Complement your garden, patio or decking with a modern metal patio chair. From elegant high-backed folding chairs to cast aluminium chairs, you'll find the ideal one for relaxing and enjoying the afternoon sun. With an internal metal frame, complemented with striking synthetic weave, rattan patio chairs are both practical and eye-catching. Discover a wide variety of chairs to add a touch of luxury to your favourite garden spot. 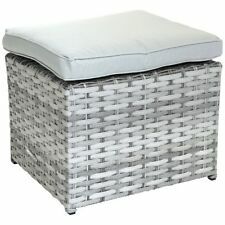 Rattan furniture is wonderful for all weather and an ideal investment that will last for years on end. 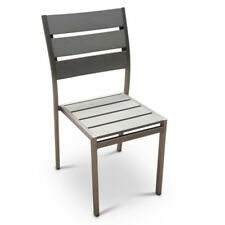 Transform your garden into a serene haven with a stylish aluminium chair. From elegant bistro sets to hard-wearing loungers and camping chairs, you will find the perfect one to make the most out of the sunshine and enjoy the gorgeous weather. Teak is hardwearing and can withstand even the harshest of weather conditions. Here, you'll find an assortment of teak chairs, from armchairs and bench seats to recliners and more, perfect for those hazy, lazy days of summer.